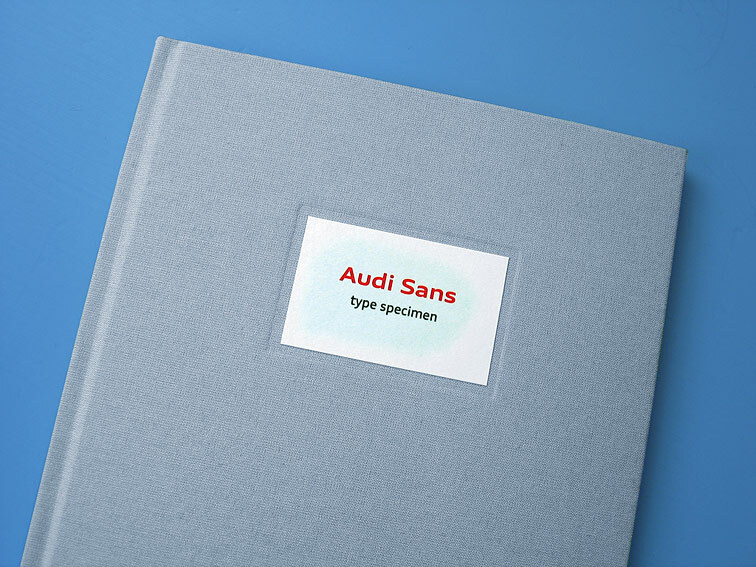 Specimen booklet showing the very first proposal of the new corporate typeface of Audi. 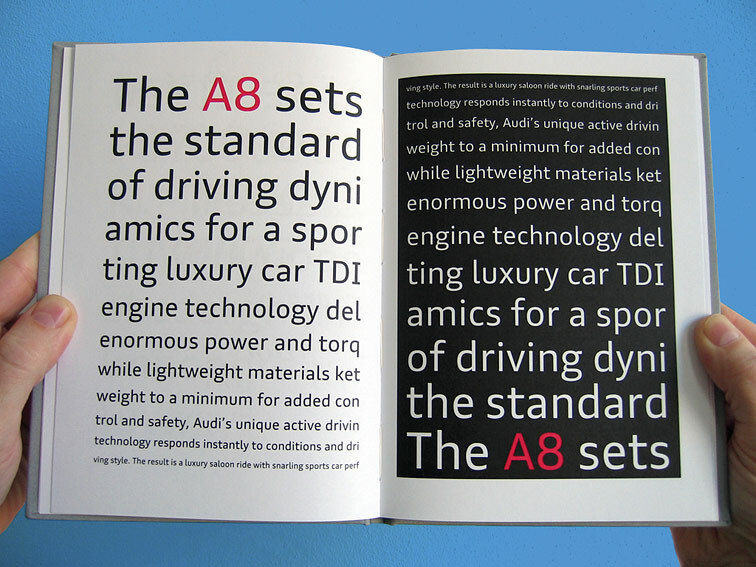 The booklet convinced Audi to choose this typeface as their new typeface. 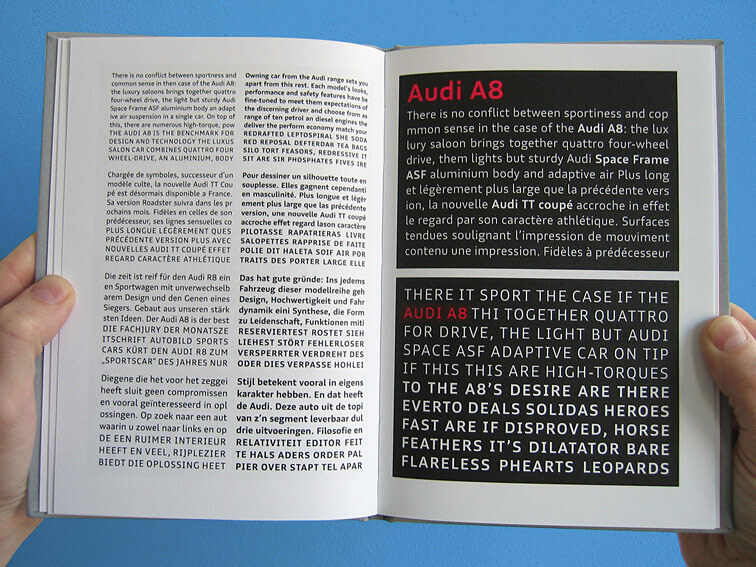 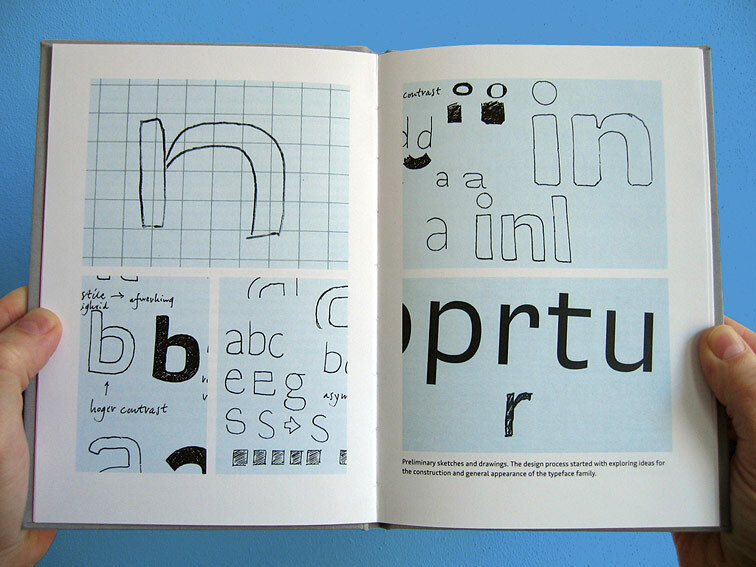 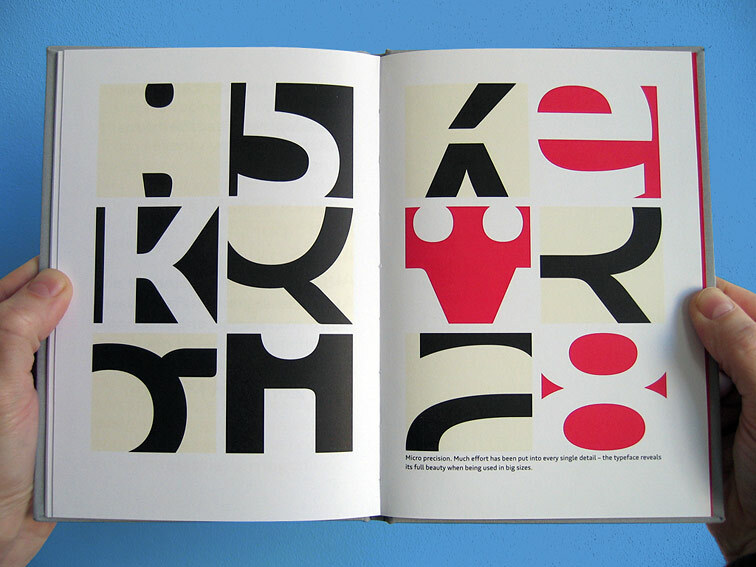 The typeface was exclusively designed following an international competition. 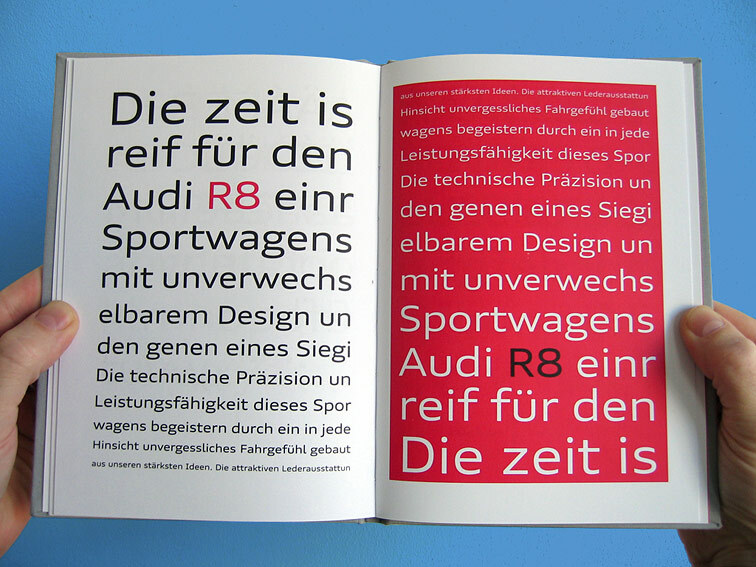 Introduced in 2009 — the year the company celebrated its 100th anniversary — this new typeface family represents self-confidence, dynamism and style combined with meticulous attention to detail.